As much as we love new and improved gear, the rapid proliferation of bicycle-related ‘standards’ can be confusing, frustrating, and costly to consumers. 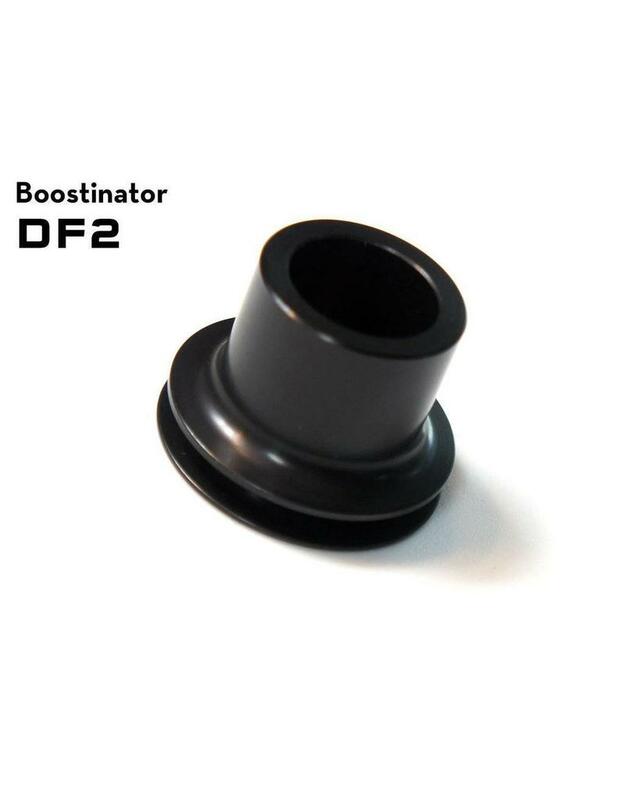 While incremental, the benefits of the “Boost” 15x110mm front and 12x148mm rear axle standards are clear: better clearance for fatter tires & rims and reduced dish for stiffer, stronger wheels. The big bummer? Taking full advantage requires not only a new frame and fork, but new wheels as well. In response, we have developed the Boostinator. 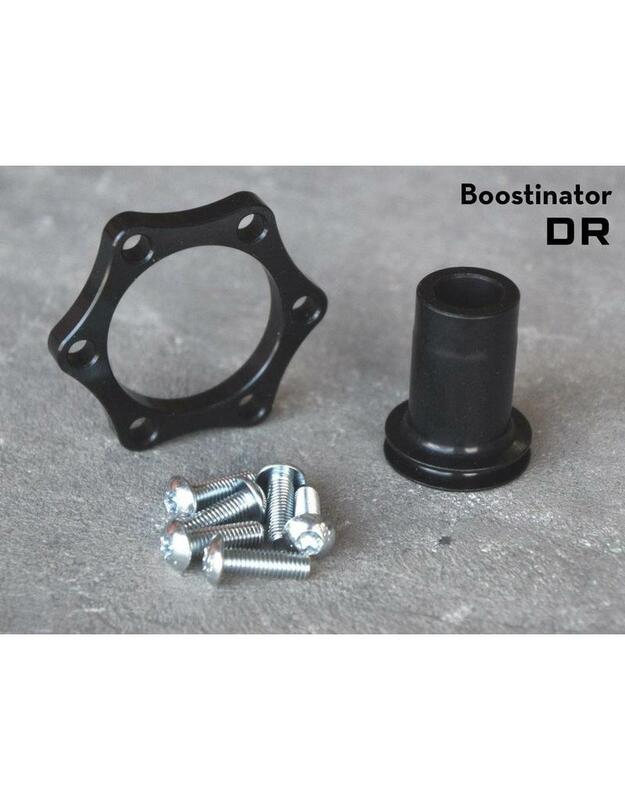 When paired with compatible 15x100mm or 12x142mm hubs, Boostinator kits allow existing wheels to be mounted in Boost-standard frames and forks. Disc and drivetrain positions are maintained and, thanks to a quick re-dish, spoke bracing angles are improved. 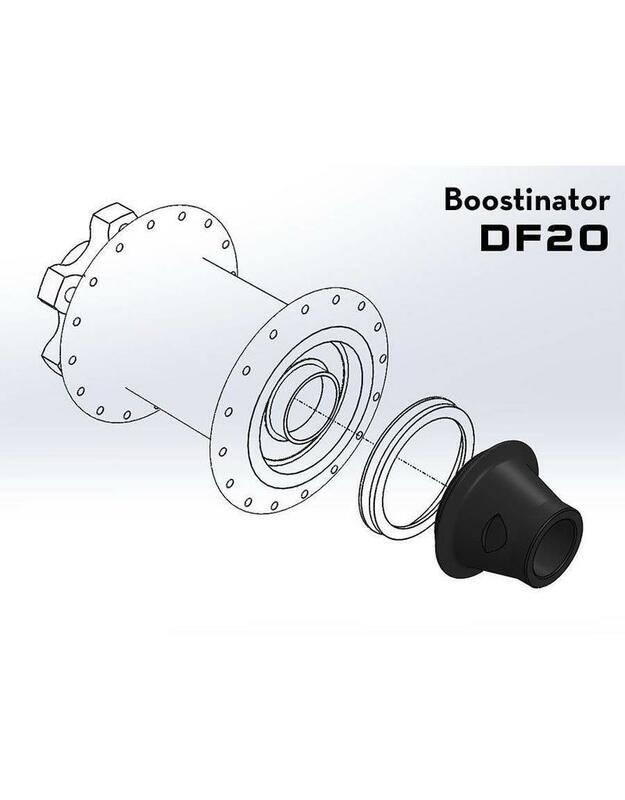 Boostinator kits consist of a specially-designed axle end cap and—in the case of rear kits—a precision-machined rotor spacer with a set of six high-strength bolts. 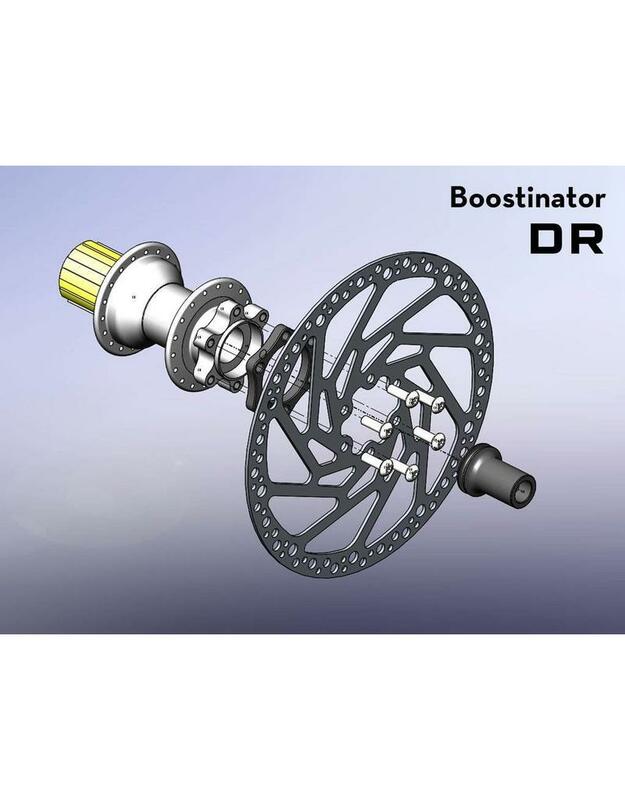 In keeping with Boost specifications, the disc and cassette are shifted outboard, allowing brakes and derailleurs to function as designed. 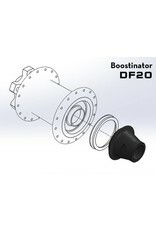 See how easy it is by checking out the Boostinator Installation Instructions. 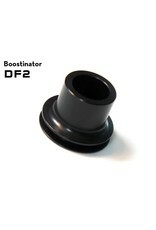 TheBoostinatorDF2 is compatible with DT-Swiss 2011 and newer 15x100mm 240s front hubs. 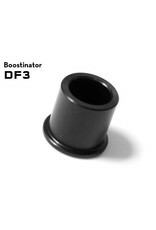 The Boostinator DF3 is compatible with DT-Swiss 15x100mm 350- and 370-series front hubs. 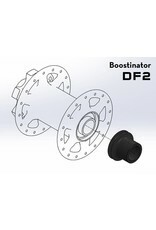 The Boostinator DF2O is compatible with DT-Swiss 15x100mm 240s Oversize (20mm convertible) front hubs. These hubs have a threaded non-disc side endcap that has little wrench flats on it. 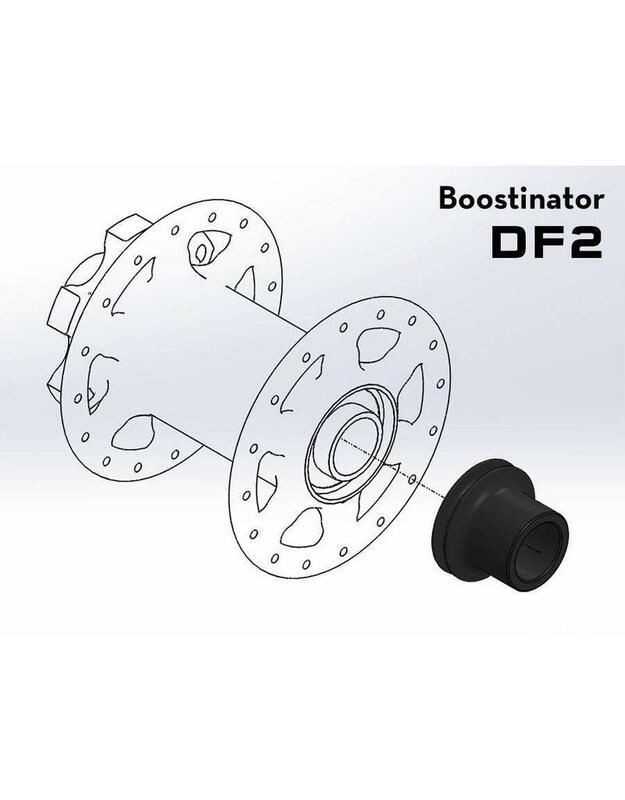 The Boostinator DR is compatible with DT-Swiss 12x142mm Star Ratchet (240- and 350-series) rear hubs with 6-bolt (IS) rotor mounts. 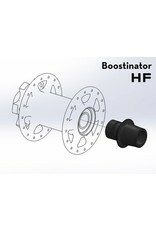 The Boostinator HF is compatible with 15x100mm Hope Pro 2 EVO and Pro 4 front hubs. 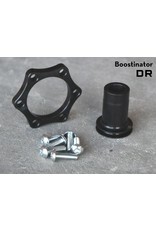 The Boostinator HR is compatible with 12x142mm Hope Pro 2 EVO and Pro 4 rear hubs. Q: What about the rim- won’t it be off center? 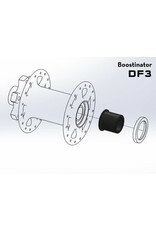 By shifting the hub flanges slightly, spoke bracing angles are brought closer to symmetric for a stiffer, stronger build. 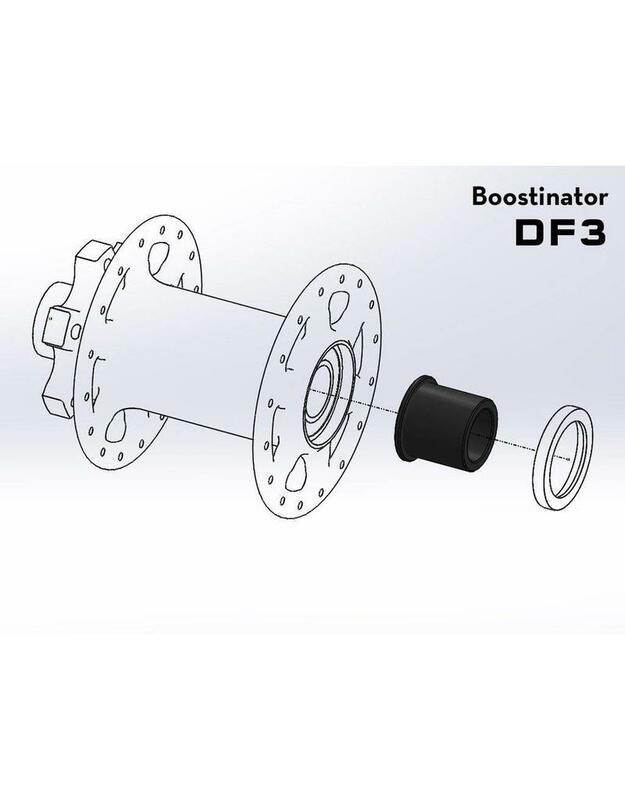 A typical rear wheel (Velocity Blunt on DT 240s) will see its effective non-drive side spoke length reduced by 0.4mm, the drive side by 0.1mm- both minimal changes and well within typical spoke length tolerances. In the example above, the drive-side spokes will need to be loosened 7/8-turn, the non-drive tightened by 1/4-turn. Your wheels probably wanted a true already, didn’t they? Q: The bolts are longer–they’ll all break and people will die! Q: The axle is unsupported–won’t it be flexy and horrible? 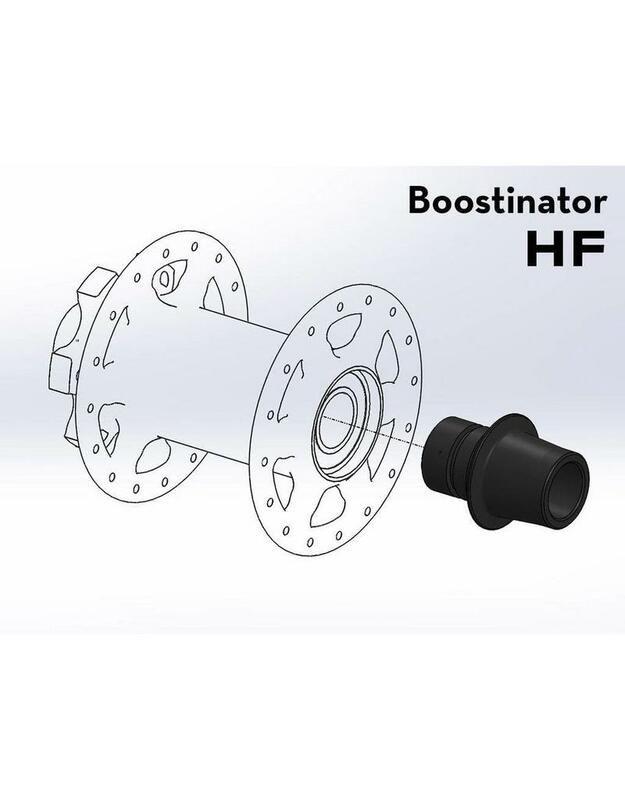 A: With the thru axle bearing the load the model is essentially identical to a Boost-native hub with slightly closer bearing placement. On the drive side, where the majority of unsupported axle lies, nothing changes. 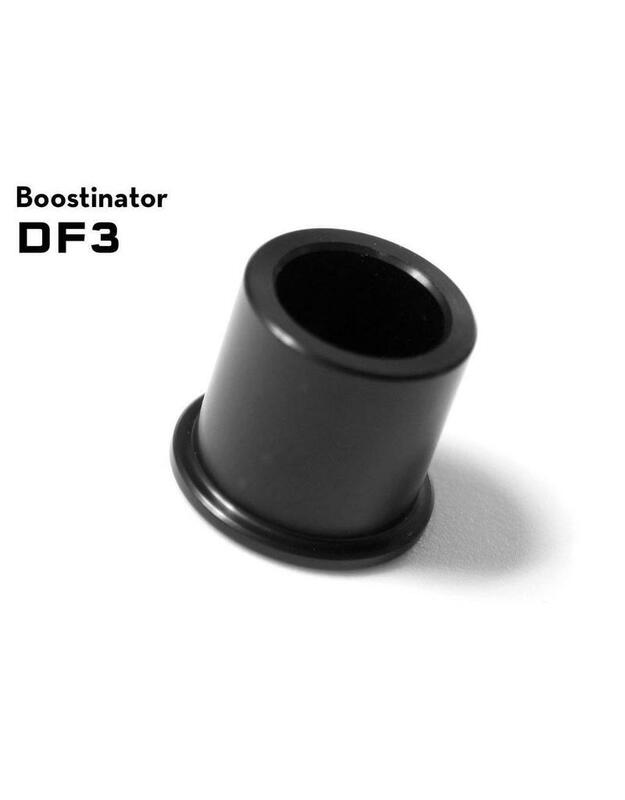 Theoretically, the system won’t be quite as stiff as a true Boost wheel, but it will be very, very close (and a whole lot less expensive). 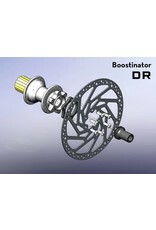 Q: Will I need a new crankset or spider? In the case of multi-ring drivetrains or when using plus-sized wheels and tires, a Boost-specific spider is recommended, not only for shifting performance but for frame and tire clearance as well. If running a single chainring or more ‘normal’ tires, likely not. Visit our friends at Wolf Tooth Components for an explanation of why. *All trademarks are the property of their respective owners. Unless stated otherwise, compatibility assertions reflect the position of Wolf Tooth Components LLC and do not constitute or imply endorsement by the trademark holder.